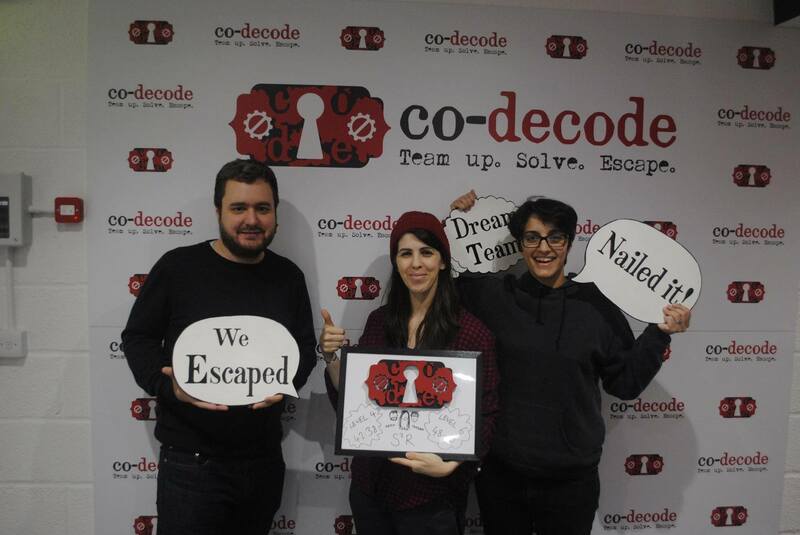 When a new form of media comes along, such as escape rooms, someone will inevitably ask: “yes, but are they art?” My answer to that is that they probably can be art, but no-one has managed it yet. 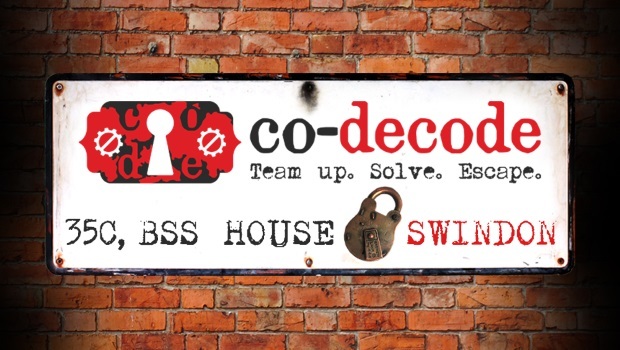 Co-decode comes the closest I’ve seen so far. Even if it cheats by just filling the room with tons of actual mechanical art. Expectations were not high, to be fair. The game is based out of a unit on an industrial park in Swindon. I mean, it sounds miserable just even saying that. But maybe that’s key to what happened here. So many games are built to fit the space they’re in. Sometimes that leads to brilliant confluences of space and game, like at History Mystery or Escapologic’s Heistakes. Other times an old office building just becomes an excuse to set a game in a “detective’s” office. You don’t really get that on an industrial park. You hire a unit, and other than anything leftover from the previous tenant not cleaning up properly, you just have an empty space. After all, you could be using it for anything. So of course, you can build anything. Hell, you have to build something because you’re starting with nothing. So following a short briefing, where you can pick a difficulty level for the game (which adds or removes puzzles based on number of players and their experience level) and learn the story (an archaeologist has gone missing – search his residence to find out what happened) you’re let loose into one of the most gorgeous environments I have ever played in. It heavily reminded me of Clockwork Dog’s first game, Langstroth’s Last Riddle, in that it’s a pretty environment full of cool antique-ish stuff. But when Clockwork Dog did it, they borrowed a boutique clothing store and put tags on the actual antiques already in there so you wouldn’t touch them. At Co-decode, they’ve built the space from scratch, including all the wall-paneling and so on. And the cool artifacts dotted around? Not only can you play with them, but you best play with them because they’re probably a puzzle. But we’ll get to that. I don’t think I’ve had the sheer impact of a space hit me this much since the first Time Run game. It’s a bit deceptive at first as it does feel like Langstroth’s or other games that just happen to be in nice settings. But then you start to realise that it’s all entirely hand-crafted. Weirdly it’s sort of unambitious. As in, the creators could have made absolutely anything – they clearly have the ability to do so – and they’ve made a really nice house. They’ve put as much effort into making a blank canvas look like a really nice house as they would have had to to make it look like a spaceship or a submarine. Which makes me very excited about the next game they’ll design. But in the meantime, it’s a really nice house. So maybe all of that can be explained by having a canvass so blank that the set had to be built from scratch. Then surely though, you can populate it with stuff you’ve bought? Or not. A good proportion of the props in this game (and 90% of the puzzle-related ones) are custom-made. Most of the things in this game you will quite literally never see anywhere else. I’m going to risk giving a small spoiler to try and explain this. One of the first things you see as you enter the room is a fairly traditional escape room puzzle: 3×3 grid of tiles, each tile with a pattern on each side, rearrange them so all of the tiles match. Except these aren’t just tiles with some scribbles on. They’re chunky three dimensional bits of hand-crafted and painted terrain. Imagine something like this but with bits on each edge that connect like a jigsaw, which when completed create a really pretty diorama (and of course, unlock something). So I spoiled that bit. Here’s why. In any other room, that would be one of the highlights that I would go out of my way not to talk about so you can be as delighted by it as I was. But in this game, everything is like that. I played this game six weeks ago and am finally writing up the review now. I have some notes. I’ve not read them yet. I could still tell you at least eight other things in this room as cool as that one off the top of my head. And if we’re being honest, in terms of mechanics that’s probably one of the least interesting puzzles in the room. It turns out that if you’re willing to just build your own mechanical bits and pieces from scratch, you can make the sort of puzzles that other people would dismiss as impossible. While it’s not quite at this level, if you’ve ever played a digital game called The Room you’ll be aware of the intricate virtual puzzle boxes that unlock and expand and connect with other objects in really neat ways, that look like they’d be possible in the real world but ridiculously difficult to do. It feels a bit like someone has taken the first few steps towards making something just like that. Criticisms? Not really. It’s a game that does hold your hand a fair bit, directing you quite clearly to what you need to be working on next via the use of letters from the professor. You could probably argue that there should be a better way to deliver this information, or that the puzzles shouldn’t need words to direct you, you should be able to work it out from the context. It also means that you’ll never be in that situation where you’re confused as to what you’re doing and trying to get a handle on where to focus next, which is a feeling I do often enjoy (in escape rooms and the rest of my life). But that’s splitting hairs as the reality is none of that bothered me at the time. I don’t mind having my hand held a bit if I’m still left to do the heavy lifting on the puzzles myself. So yeah, go play this game. It’s terrific, it’s like nothing you’ve ever played before, and you’ll love it. It may well be the best thing to come out of Swindon. Ever. Summary: A terrific game, even more impressive given it's been built from scratch in a soulless industrial park. A definite must-play.